A new case of measles related to international travel has been confirmed in Washtenaw County, health officials said Friday. The case is not part of the Michigan outbreak, which now includes 39 cases. This case has no recent vaccination. University of Michigan Intramural Sports Building, 606 E. Hoover Ave., Ann Arbor on April 1, 11 a.m. to 3 p.m., April 3, 10 a.m. to 2 p.m., and April 4, 4-7 p.m.
Lucky’s Market, 1919 S Industrial Highway, Ann Arbor on April 1, 1-4 p.m. and April 6, 1:30 to 4:30 p.m.
Lan City Hand Pulled Noodle, 2612 Washtenaw Ave., Ypsilanti, April 2, 6-10 p.m. Whole Foods, 3135 Washtenaw Ave., Ann Arbor on April 2, 8-11 p.m.
University of Michigan North Quad Complex, 105 S. State Street, Ann Arbor on April 3 from 8:30 to 11:30 a.m.
NeoPapalis, 500 E. William Street, Ann Arbor, April 3, 9-11 p.m.
Mani Osteria and Bar, 341 E Liberty Street, Ann Arbor on April 4, 11 a.m. to 2 p.m.
Encore Records, 417 E. Liberty Street, Ann Arbor on April 4, noon to 3 p.m.
University of Michigan Angell Hall Courtyard Computing Site (a.k.a. The Fishbowl), 435 State Street, Ann Arbor on April 4, 1-6 p.m. and April 5, 4-10:30 p.m.
Jolly Pumpkin Café & Brewery, 311 S. Main Street, Ann Arbor on April 5, 12:30 to 4:30 p.m.
Blank Slate Creamery, 300 W Liberty Street, Ann Arbor on April 5, 2:30 to 6 p.m.
Asian Legend, 516 E William Street, Ann Arbor on April 5, 8:30 to 10:30 p.m.
Walgreens Pharmacy, 317 S State Street, Ann Arbor from April 5 at 9:30 p.m. to April 6 at midnight. CVS Pharmacy, 209 S. State Street, Ann Arbor from April 5 at 9:30 p.m. to April 6 at midnight. CVS Pharmacy, 1700 S. Industrial Highway, Ann Arbor on April 6, 10 a.m. to noon. Woodbury Gardens Apartments leasing office and clubhouse, 1245 Astor Ave., Ann Arbor on April 6, 11 a.m. to 1:30 p.m.
Michigan Flyer-AirRide bus on April 6, 3:15 p.m. to 6 p.m.
DTW Airport McNamara Terminal on April 6, 3:55 p.m. to 7:30 p.m. The agencies are urging people to monitor themselves for rash with fever or other symptoms consistent with measles for 21 days. 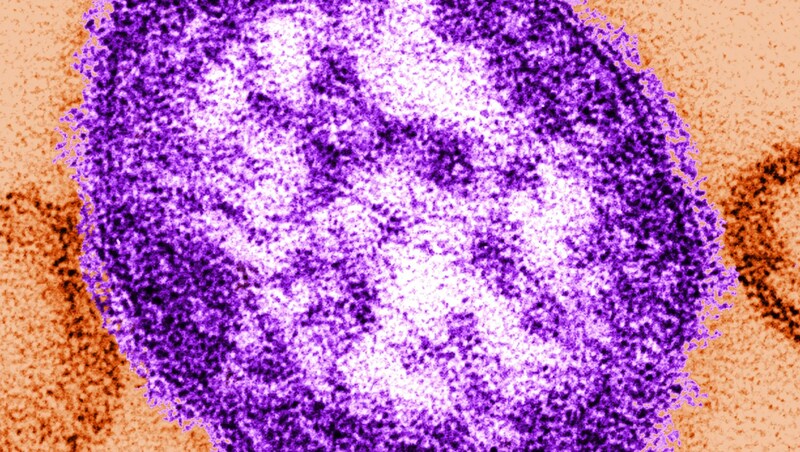 A person with measles is contagious for four days before and four days after the rash appears. A person can be infected with measles just by being in the same room as an infected person, even up to two hours after the infected person has left. Are Only Virtue Signaling Tech Bros Passionate About Tesla? Study: AI voice analysis can diagnose PTSD in veterans. A new study published in the journal Depression and Anxiety found that an artificial intelligence-powered voice analysis program can help diagnose post-traumatic stress disorder in military veterans. Kim Kardashian Trashes Lori Loughlin: I Would NEVER Bribe for My Kids! Copyright © 2019 Usa news. All rights reserved.